“I felt the impact on my back, but I wasn’t sure which part of me was hit. I felt myself being carried through the water like a helpless ragdoll. I remember hoping I wasn’t losing too much blood although after the initial impact I felt no pain. It turned into a dreamlike sequence, an out-of-body experience. I became strangely passive, almost resigned to my fate. I was like a wildebeest in the helpless grip of an attacking lion; only I was underwater. Was I going to die peacefully? It certainly felt like it. I didn’t panic. Panicking underwater is a prelude to drowning. “My breathing remained normal. My heart rate probably too. I couldn’t see my attacker. I’d been expertly taken from behind. Luckily the enormous beast had grabbed me by my equipment and not my body. Doing nothing had turned out to be the right thing to do on my part. On the last day of November, an American tourist diver, otherwise enjoying the spectacle of the marine life at Cocos Island (“The Island of the Sharks”) was attacked and savagely bitten by a large tiger shark. Despite the efforts of the dive guide, the animal persisted, and she was so badly bitten, Rohina Bhandari died of her injuries. 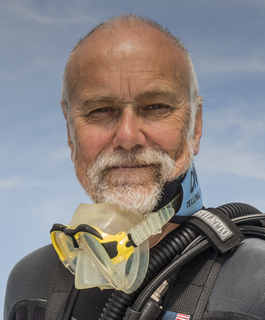 The dive guide, Jiménez, too was badly bitten and was evacuated to medical care on the Costa Rica mainland. If you are a diver and don’t know about this, you obviously don’t take note of any news media. A full account can be seen in Undercurrent January 2018 edition. Immediately, social media was crowded with conjecture and opinion. It’s not our place to attribute blame. If there was any negligence, that’s for a Court to determine. However, it is fair to say that we enter a hostile environment whenever we scuba dive and should take the necessary precautions and be aware of the uncontrolled risks. There’s a far greater chance of dying from the effects of being underwater than of an attack by any form of marine life. That said, if you are attacked by a large predator, there’s precious little you can do about it. I’ve been to Cocos eight times. It’s a wonderful place that attracts big predators. In recent years, a few tiger sharks have displaced the silver-tip sharks that used to top the food pyramid. There is no need to bait for sharks at Cocos. “Tiger sharks are the garbage collectors of the sea. Notorious and often described as the “Great White of the tropics” they were once believed to be nocturnal hunters, although recent evidence reveals that they are quite prepared to hunt during daylight hours as well. They are long-distance travellers with a range that might typically include forty square miles. The ultimate scavengers and opportunistic feeders, tiger sharks, will try to eat anything including underwater cameras, scuba tanks and, as I was about to discover evidently, even me. Isla de Cocos is a unique outpost in the golden triangle formed by Darwin and Wolf Islands in the Galapagos and Colombia’s Isla de Malpelo. It attracts bigger pelagic marine life that enjoy surfing on the upwelling currents found there. It’s also very remote at around 36-hours sailing time from Punta Arenas in Costa Rica. If you get hurt, you’re a long way from serious help including being out of range of any helicopter rescue. We’ve been sold scuba diving as a risk-free activity. It isn’t. You can mitigate known risks with equipment redundancy, but you cannot avoid a one-in-a-million disaster such as this any more than you can avoid a charging elephant during a safari in Africa. While we mourn the loss of a fellow diver and wish the dive guide a speedy recovery, we should not start to attribute blame. We enter their world at our risk. Finally, we should not think that the tiger shark is the ultimate predator found at Cocos. In 2014, Edwar, a dive guide from the same liveaboard, along with others, recorded video of a large tiger shark being attacked and killed by an orca. It’s nature, red in tooth and jaw! John, while I believe all of us who have spent much time swimming with sharks are in awe and have great respect for them, what about orcas? Other than the incidents of them attacking trainers in captivity, have they ever been aggressive toward divers in the wild? Video of them playing with and killing seals and whales certainly shows they are capable of being dangerous, but I don’t recall hearing of any attacks on divers.